In the APRS world a new piece of software has been creating some excitement. It is a soundcard modem for packet radio by UZ7HO. It runs under Windows and emulates the AGW Packet Engine so that it can be used by any program that is designed to work with it. The reason for the excitement is that this packet modem can decode several packet signals on slightly different frequencies in parallel, resulting in many more decodes on HF where it is quite common for stations to be 50Hz or more off-frequency. Unfortunately I haven't been able to try the new packet engine as the PTT won't key my Elecraft K2 and I don't know why. My K2 CAT cable has a transistor switch on the DTR line which goes to a 3.5mm jack plug that plugs in the K2 key socket. This was originally used for computer Morse keying using software like MixW, but it can also be used for PTT with digital mode software as the key and PTT lines are common. Using fldigi and even using a serial port test program I am able to activate the DTR line on COM2 and the K2 will respond by switching to transmit. But if I use this software modem no PTT ever occurs so although the audio is generated the packet signal is never transmitted. If I was using a SignalLink or other device such as my homebrew USBlink with fast audio derived VOX then this wouldn't matter but as I have a PTT connection on this serial port I'd really prefer to make use of it. If I change the serial port to COM3 then the program will key my Elecraft K3, which uses a different serial cable but still uses DTR for PTT. I tried the original AGW Packet Engine, both free and paid-for Pro versions but that won't key the K2 either. So the problem must be something to do with my K2 CAT cable. But my poor old brain has been having rather a tough time recently with all the treatment making me feel like a bit of a zombie and I'm finding it rather difficult to think things through logically and find the solution which is probably staring me in the face! 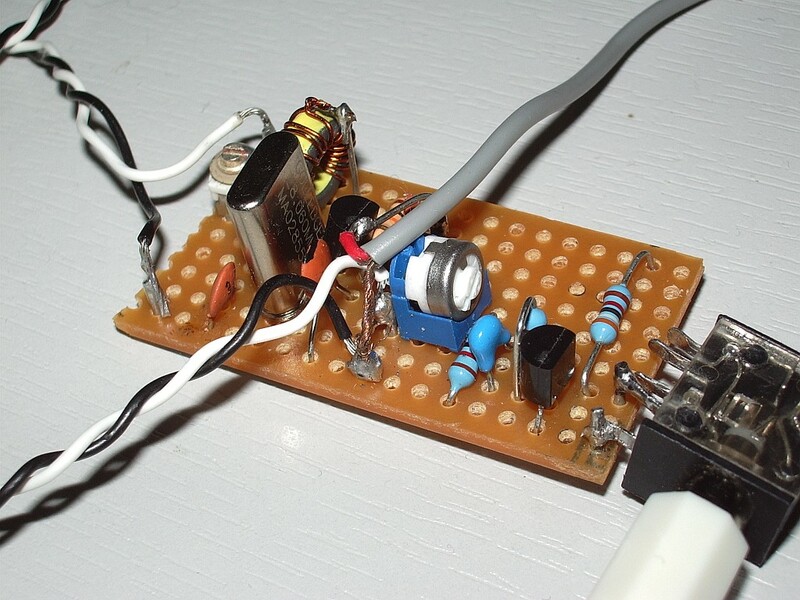 Yesterday I attempted to have a QSO using the XBM-10-2 two transistor "Chirpy" transceiver for 10m. I asked Jim, G3XPD, who is about 8km south of G4ILO to listen out for me. Jim could hear the distinctive sound of my 100mW transmission, but I could not hear Jim, not even when he called using 100W. I know the Chirpy receiver works because I can receive a locally generated signal such as my antenna analyzer. But I guess even that is a big signal compared to one received off the air. I need to find a way to improve the receive sensitivity if it is to be possible to make a real two-way contact using this simple transceiver circuit. I have tried adjusting C2 for maximum noise in the earpiece rather than maximum output when the key is down, to see if that gives some improvement. If nothing else it seems to have tamed the chirp a bit. Not without some difficulty due to my shaking hands, I managed to modify my copy of Roger G3XBM's XBM-10-2 two transistor transceiver for 10m to his latest version. It is now named the "Chirpy" for reasons that will become obvious when you hear one on the air. My version is exactly the same as Roger's except that R3 is a trimpot not a fixed resistor. This allows me to adjust the power output to what I want. I am getting 150mW output on a 13.8V supply, this drops to 50mW with a 9V power source. So far I have yet to make a contact with the little rig. I have called CQ on 28.060 many times but my signal is yet to be spotted on the Reverse Beacon Network. I don't know if that is because my signal is too weak or too chirpy for decoding by the skimmer stations. Or perhaps the skimmers don't receive that far up the 10m band. I will probably have to arrange a sked with a local station who is near enough to hear me.